This murder mystery is different in many ways. 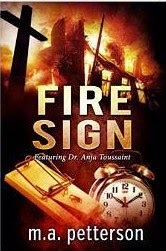 Firstly, it is a novella and first of a series featuring arson investigator Dr Anja Toussaint, an intriguing yet strong character and knowledgeable professional. In a 15,000 words M. A. Petterson manages to gradually develop strong characters, albeit with mysteries surrounding their backgrounds that, no doubt, future stories will unravel. The characters and mystery are quickly established and the story moves ahead smoothly; compelling the reader to continue page turning. Combining narration in the first person and with his easy to read and captivating style, Petterson sets his scenes clearly, makes the action more exciting and gives strength to his characters. Throughout the book there is no doubting Petterson’s knowledge of fire fighting and the technical aspects of the fire fighter’s job and associated stresses. This approach to storytelling reminded me of the old movie serials when I was a child; each is a complete story but each has you coming back for the next episode. 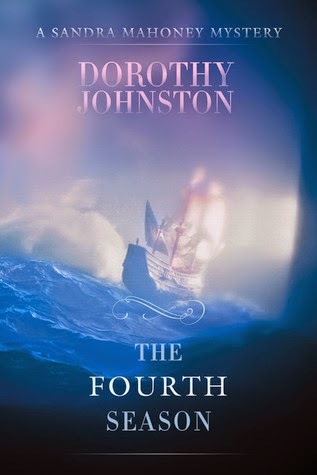 The Fourth Season is the fourth book in a series of stories by Australian author Dorothy Johnston. I have not had the pleasure of reading the previous stories but this did not impact on my enjoyment of The Fourth Season. Each book is set in a different season. 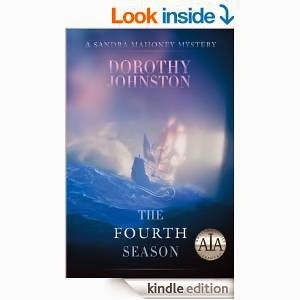 In The Fourth Season it is autumn and Ms Johnston beautifully describes the changing climate and autumn colours Australia’s capital city at that time of the year. The main character in the book is Sandra Mahoney who has a family life not unlike many today. She has both a partner and an ex-husband and each has fathered one of her two children. While this domestic situation is quite normal today it does complicate Sandra’s life as she struggles to protect her children while unravelling two murders that are only too close to her personal life. Complicating her investigation is her partner, Ivan, had fallen in love with the first of two victims, Laila Fanshaw, and he is one of the suspects. Laila was concerned about environmental issues particularly marine habitat and the impact of oil exploration. As a private investigator Sandra is hired by another murder suspect who was also enchanted by the young woman and linked with the second murder of a diving instructor. During the investigation her attention is drawn to conspiracies, possible political corruption, computer hacking and crime. Her investigative techniques are largely based on skilful questioning and computer research but her police detective friend, Brooke, provides snippets of further information from time to time. As an Australian it was wonderful to read an excellent whodunit set in my own country. The story has a steady pace never boring always moving forward to the next mystery as Sandra pursues her investigation. This combined with Johnston’s easy reading style, clearly descriptive prose and use of the first person makes it compelling reading.